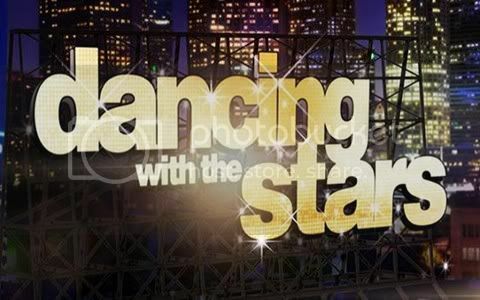 Quick Take: Dancing With the Stars 14, "Week 6"
It's time for a marathon. Review: Dancing With the Stars 14, "Week 6"
(S1411) The remaining eight couples tackled Motown Week, in which they had the honor of dancing to the music performed live by The Temptations, Smokey Robinson, and Martha Reeves. While the concept sounded great I feel that the dancing suffered a bit because of this. A majority of the performances just seemed to fall flat and I think it had a lot to do with the arrangement of the music. Customarily they adjust the tempos of the song to match the dance style but this week the songs were all sung at their original tempo which just seemed to be a bit off when it came to certain styles. It seems that the possible threat of going home last week lit a fire under Jaleel and Kym's feet this week as their cha-cha-cha earned them a twenty-nine dancing to The Temptations' "Ain't Too Proud To Beg." I can honestly say that it was the most entertaining performances of the night. All three judges were full of praise. Len declared that Jaleel was once again a contender, Bruno thought he was the biggest sizzle of the season and Carrie Ann felt that he brought his A game to the table. Also earning a twenty-nine this week for their dance was Katherine and Mark whose samba to The Temptations' "I Can't Get Next To You" was fun and full of energy and had Len calling Katherine a midwife because she delivers a solid performance each week. I must say that's quite an interesting analogy. Fan favorite Roshon and Chelsie earned a disappointing twenty-three for their rumba after all three judges found Roshon's movements lacked fluidity. Carrie Ann said it best, his movements were over-exaggerated. While I usually enjoy Roshon's performances I have to agree, his arm placement throughout the song was just too painful to watch at times. And while Gladys and Tristan received the lowest scores for their rumba, a twenty-one, I honestly felt that Gladys had the most confidence on the dance floor this week. Dancing to the music style that made her famous definitely gave her that edge. Following the eight couples individual dance it was time for the Motown Marathon, where all the couples hit the dance floor simultaneously to dance the cha-cha-cha in hopes of being the final couple on the floor and earning an additional ten points. The marathon didn't do much in shaking up the leaderboard as Katherine and Mark remained on top earning the full ten points and Gladys and Tristan were the first couple eliminated garnering them a mere three additional points to end the night with a twenty-four. It's anyone's guess though who will be the two couples dueling it out Tuesday night in hopes of saving themselves.